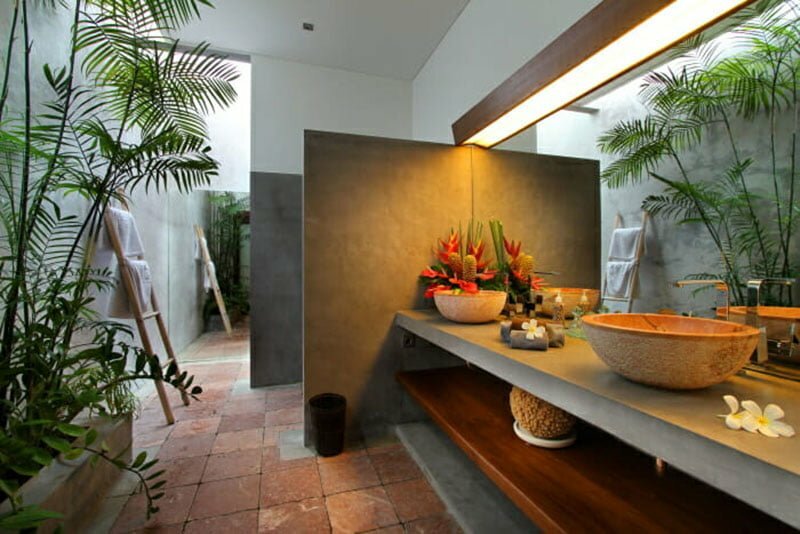 If you are seeking to have a secluded and luxurious retreat in Bali, then you better book a room at one of the villas in our complex. 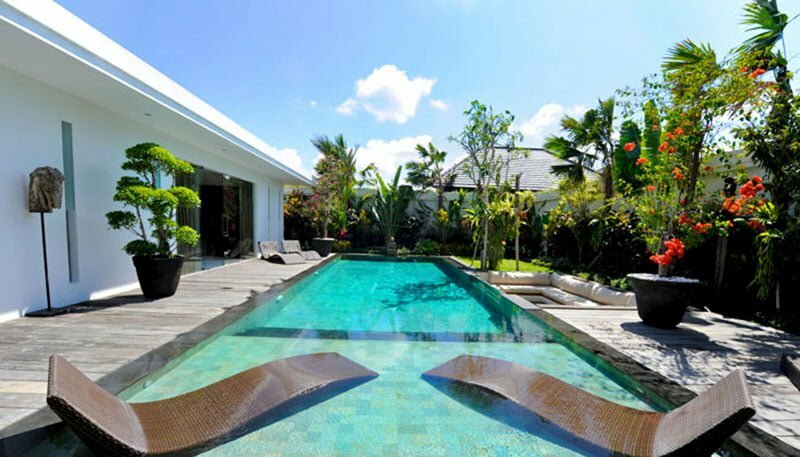 Kelapa Villa Complex is located at the heart of Seminyak. 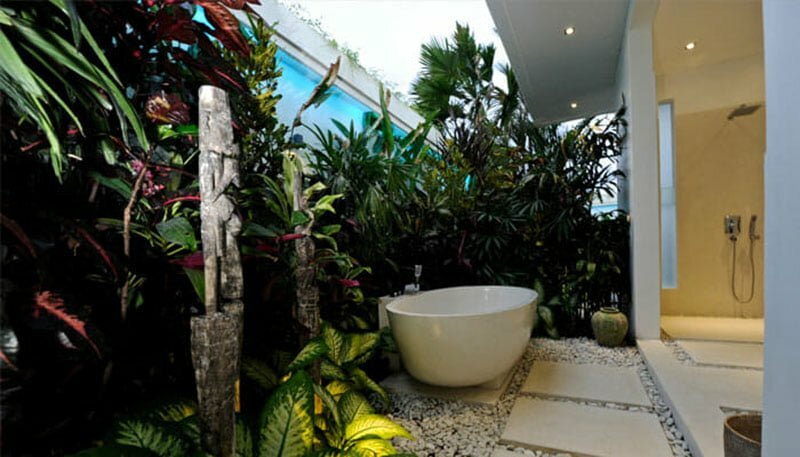 We choose this location because it ensures guests receive total tranquility and peace. 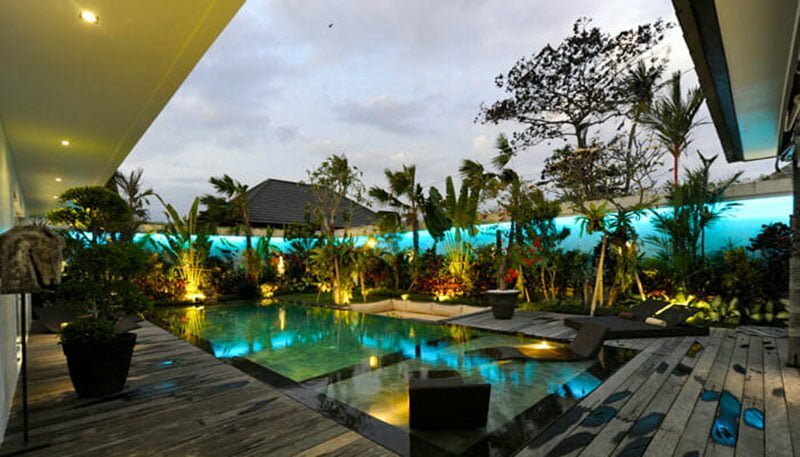 Our complex is 30 minutes-drive away from Ngurah Rai International Airport, and a few meters from Oberoi Street –known for popular bars, boutiques, and restaurants. Our objective is to ensure you have had one of the memorable stays in our complex and you can know that right from the time you step at our main gate. 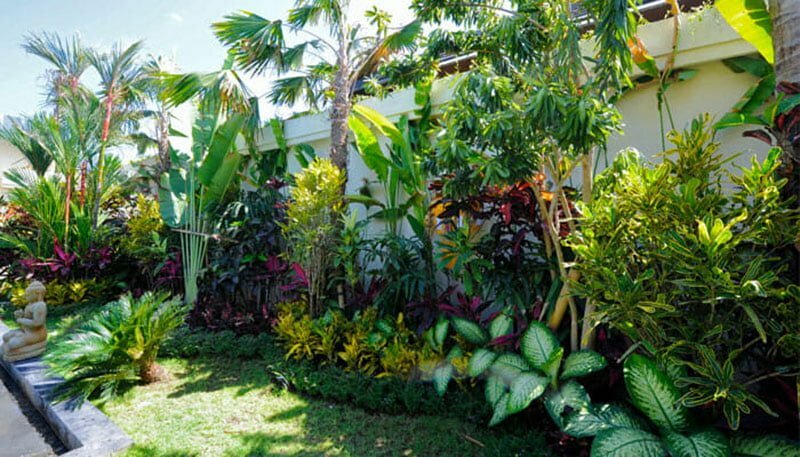 The complex sits on a well-kept lawn grass garden flanked by tropical vegetation. If you love swimming, then our complex has you covered as have a tiled-floor massive swimming pool. Alongside the pool are great and comfortable loungers so guests can soak up, chill out, or relax reading their favorite books. 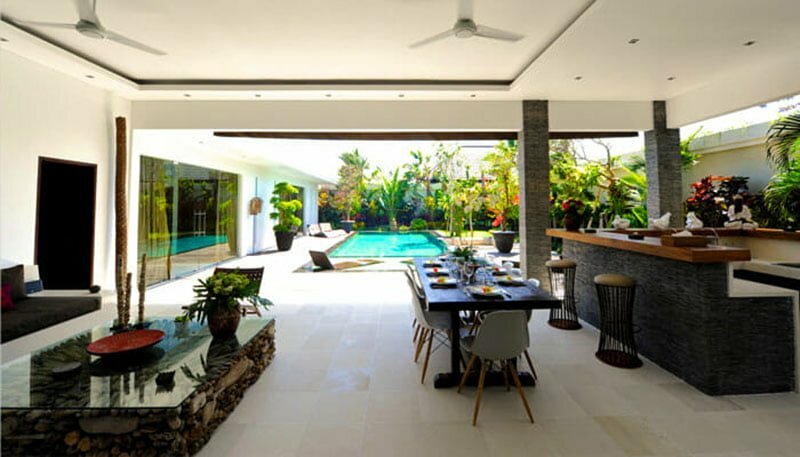 If the outdoor and pool area did impress you, then the living areas do that threefold. 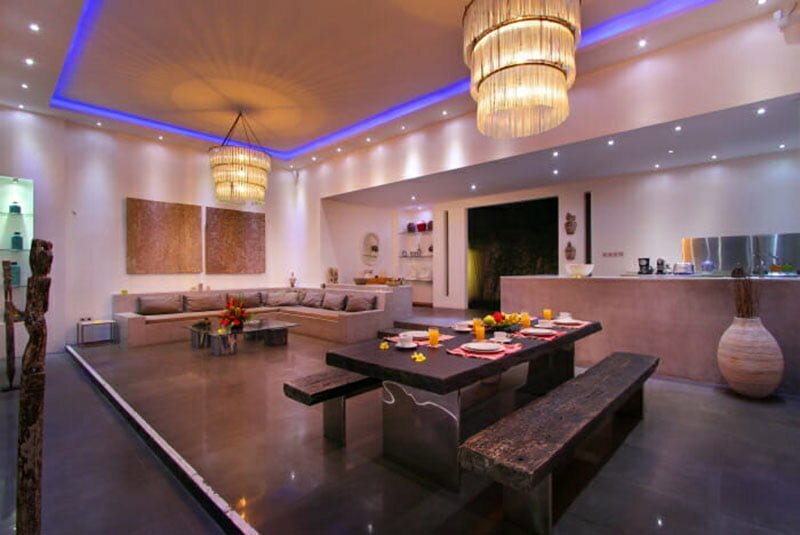 Although each villa has a private living room, the main pavilion breathes opulence. 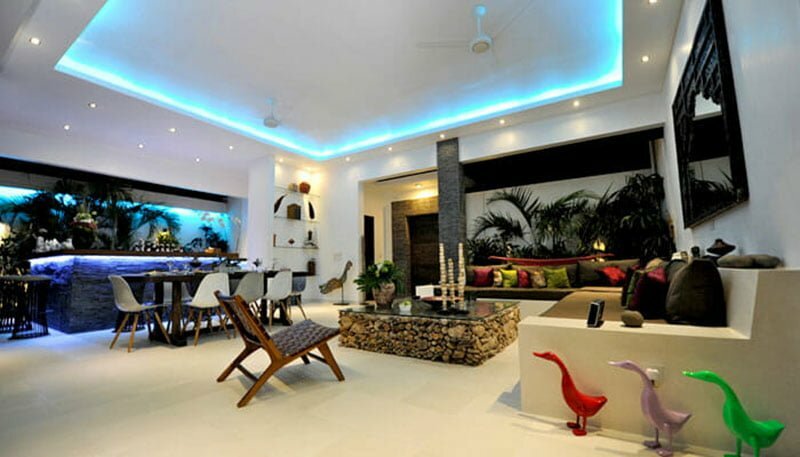 The interior decors are a blend of rustic and modern designs so that the sofas are incredibly comfortable. 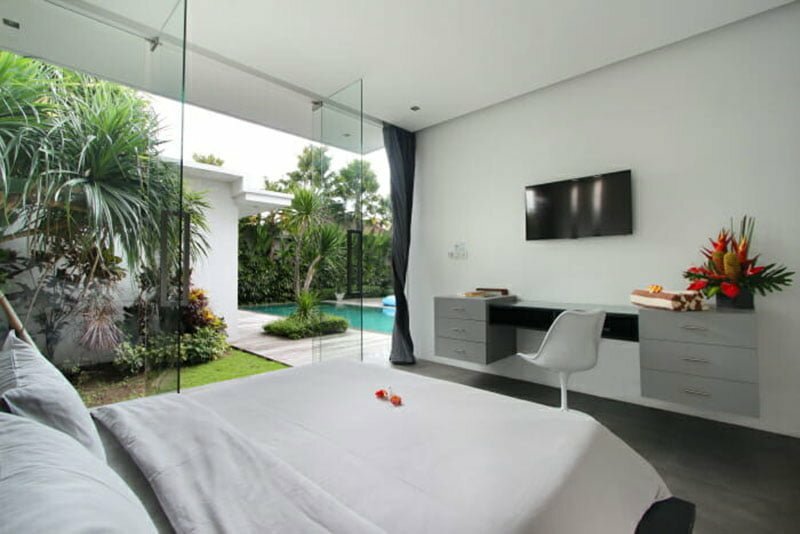 They are arranged to face a wall-mounted flat-screen television so guests can curl up to watch their favorite movies. 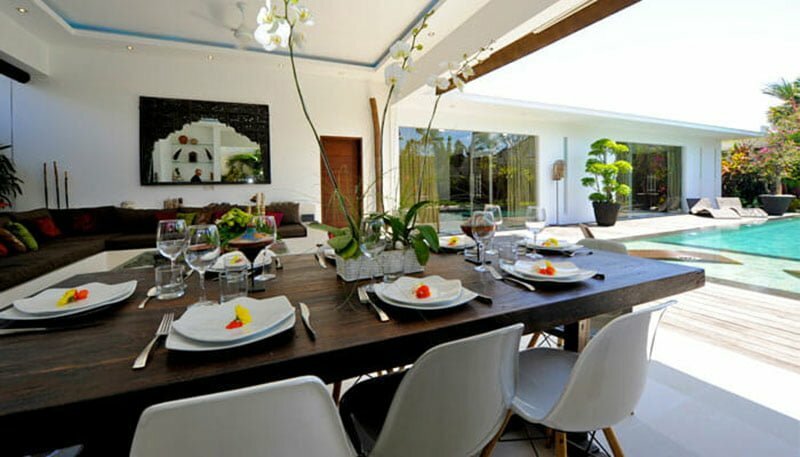 Right inside the air-conditioned living area is a dining room with a large teak dining table and six armchairs. Adjacent to the dining room is fully furnished modern kitchenette. 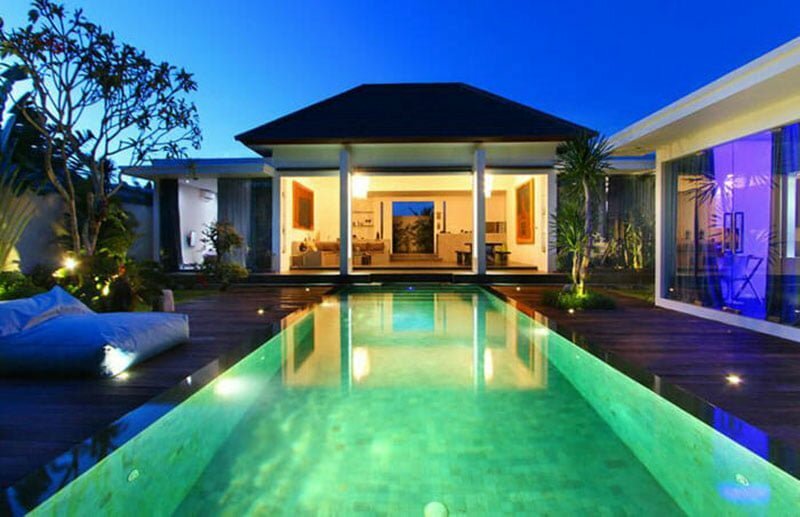 Villa Cantik is a subtle mix of modern and Balinese villa style so the three bedrooms are the choice of every traveler. Each of these bedrooms is spacious and are furnished with a king-size bed, flat-screen television, and an en-suite bathroom. 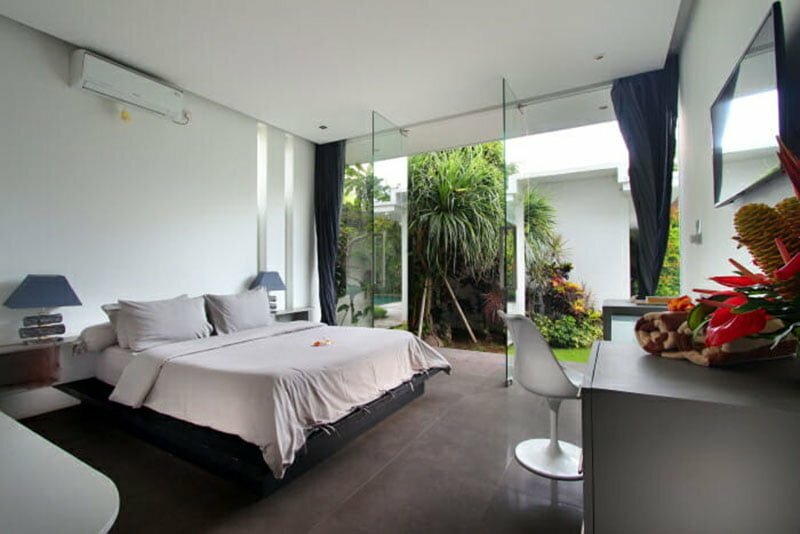 The brightly designed bedrooms are an ideal haven for a homely feel. 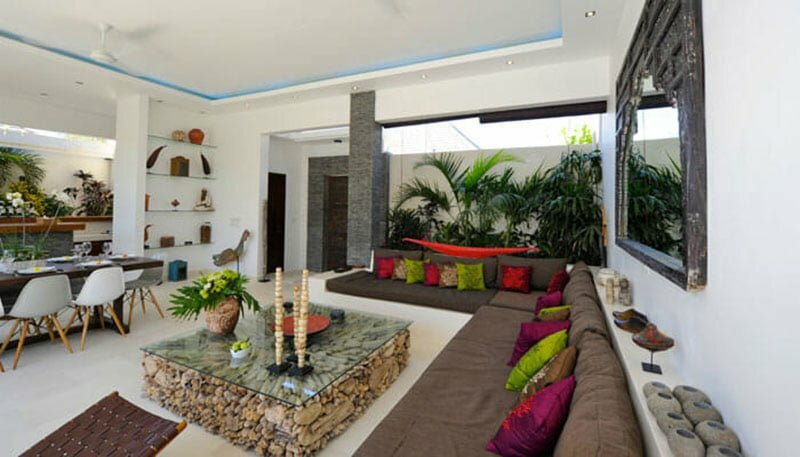 The Villa Bahia is an elegant villa complete with a kitchen, dining area, and a living room. 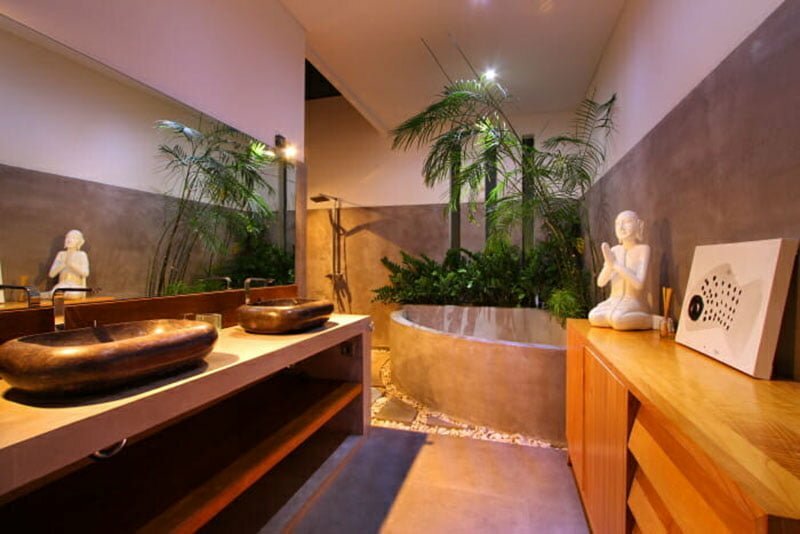 It is accessed through the colossal door entrance where you will find attractive Buddha statue. 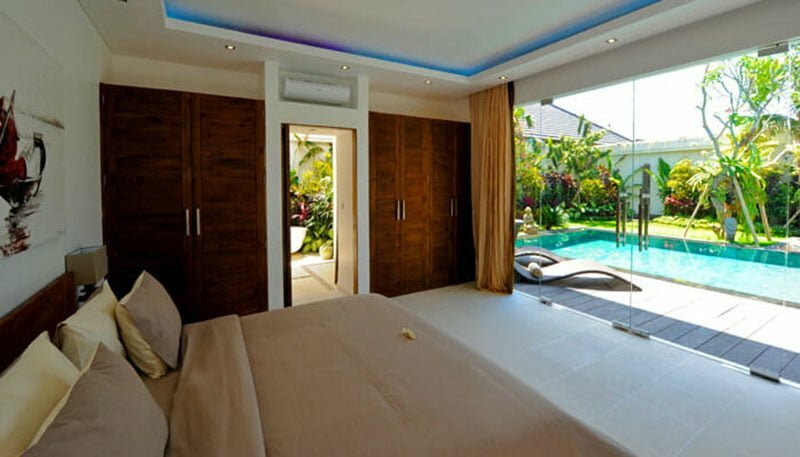 The three bedrooms in this villa are luxurious and modern, each with air conditioning system, vast dressing room, and en-suite bathroom. 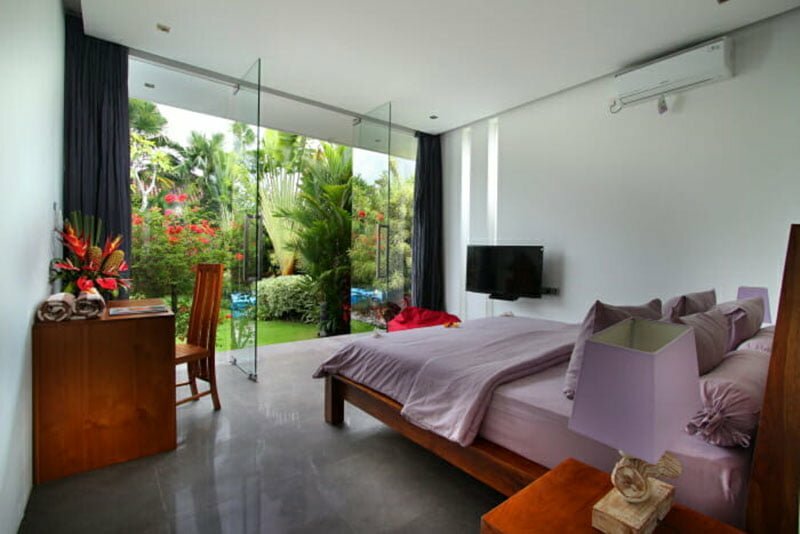 Besides that, all these rooms have their own satellite television and Wi-Fi internet access. 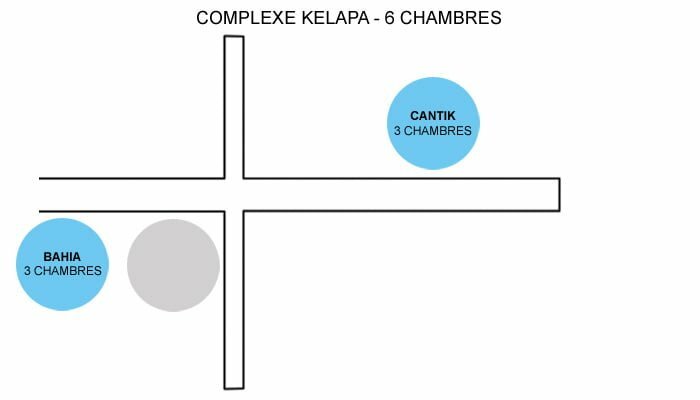 Did we mention that our complex is there to meet all your hospitality needs? Yes, and that has been possible thanks to our highly welcoming and friendly team who speak your language. 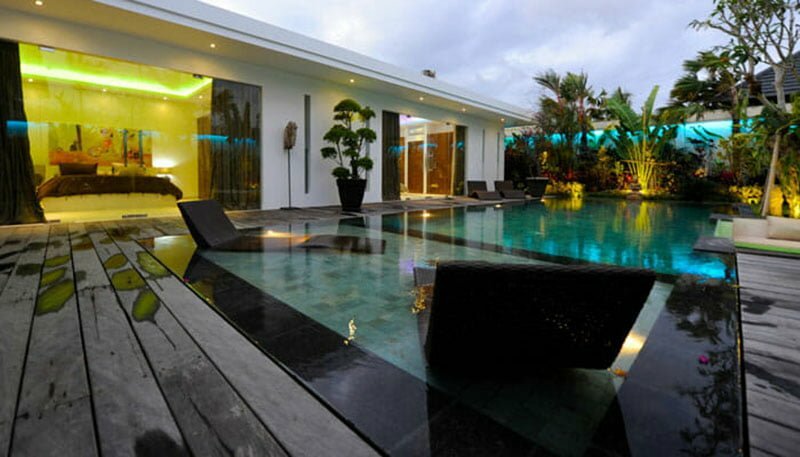 Our team is made up of villa manager, housekeeper, gardener, security guard, and private chef among others. 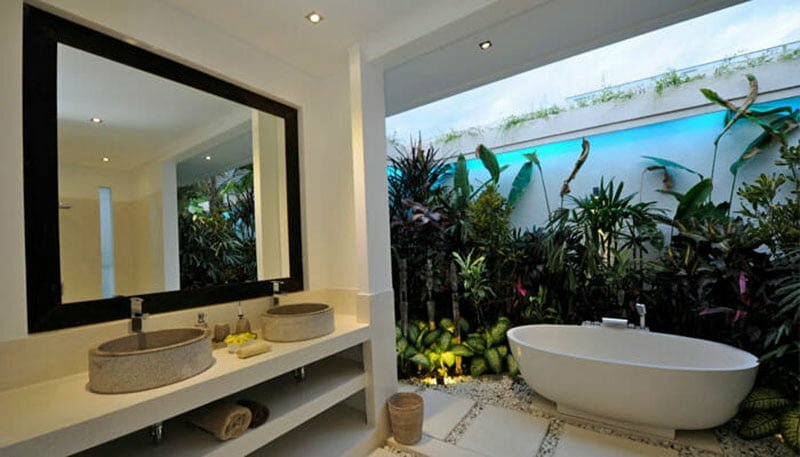 We offer five-star services, which include airport transfers, car/motorbike rentals, babysitting, food delivery, free Wi-Fi internet access, spa/massage, laundry/cleaning, and free breakfast. Any other hospitability service not stated here may be offered upon request.